Like most kids, my kids look forward to Christmas because it gives them so much joy being with friends and family, giving and receiving gifts and feasting on good food. With all the parties and the feast during this most wonderful time of the year, it’s kinda impossible not to indulge right? Christmas is probably the only time in a year that I am lenient as a momma–like letting my kids make a mess and letting them eat what they want–simply because I want them to enjoy their Christmas break. But you know just like everything in life there should be balance. So let me share a few tips on how I prepare my family for the holiday feast. Even though I’m out for work or errands, I make sure I keep in mind what my kids eat. Though the holidays is the perfect time to try new dishes, I would often check on what my kids eat. This is to keep track on what goes in their tummy should it react unpleasantly to the introduction of the new dishes, it’s easy to know what food it is. 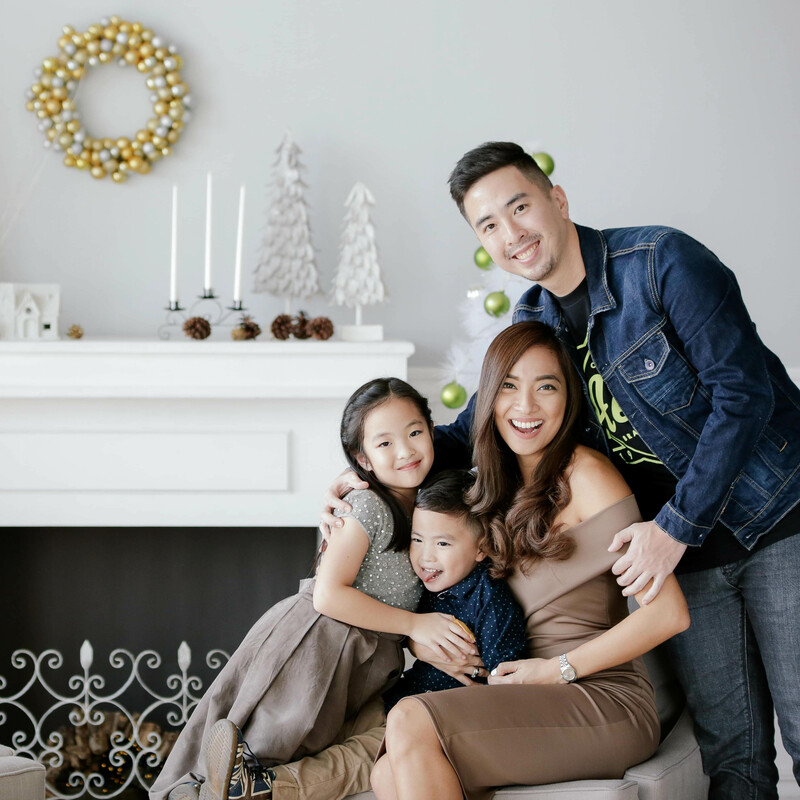 Letting them enjoy a treat once in a while has proven effective for them especially when there’s an overload of treats waiting for them at every holiday gathering (read: dessert buffet!). This way they don’t get too overwhelmed when they’re presented with so much more treats. Clocking in 8 hours of sleep can really make anyone holiday ready. When my kids get a good night’s sleep and their afternoon nap, they’re ready for anything. If you have a few holiday gathering lined up, make sure to let your lil’ ones get enough sleep to avoid any meltdowns. With all the activities that come with the holiday gatherings & feasting, it is very important to keep your kids hydrated. Needless to say drinking lots of water (at least 8 glasses a day) helps keep your kids be fast & sharp and fight dehydration. Aside from eating healthy meals, taking supplements such as vitamins can help prepare your kids for the holidays. As a parent choosing the right vitamins is an essential factor in keeping my kids healthy. Make sure it has what your child needs. Just like Propan TLC. It has Lysine to help boost and maintain appetite, Taurine for proper brain function, Chlorella Growth Factor and Vitamin D: to boost height and improve bone development, and it’s 100% RENI Vitamin for stronger immunity. These tips have helped keep my family ready for the holiday gatherings and I hope it helps you too. From my family to yours, happy holidays everyone!